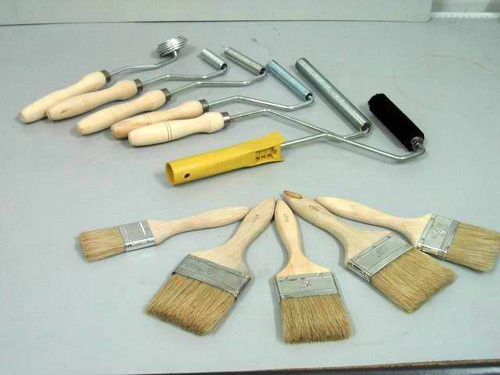 Hand lay-up is the simplest process in the low end composite products, require low investment, higher operating skill, and versatile shapes of product that need single high quality surface finish. A coat of laminating resin (resin that being mixed with catalyst / hardener, or else your part will not cure) is then being applied by brush or roller. Follow by the first layer of chopped strand mat (preferably 300 gs/m2 or less), or if desire a surface tissue. The laminating resin is then applied to the reinforcement (the fiberglass) so that all trap air can be force out using roller. Continue doing this for your next layer of fiberglass, until desired thickness is achieved. Once finished, allow the resin to cure. You can feel the reaction taken place when your product is producing heat. Finally, remove your product from the mould (demould) and next step is trimming the fiberglass product. 1. Make sure the mould is properly waxed. 5-6 layer of paste wax should be apply to the newly use mould. This is to make sure the product can be easily be demould. 2. Refer to Material Data Sheet on ration for resin-catalyst. Make sure laminating process can be finish before the resin start gelling. This is called the resin gel time. 3. Use compress air to help you demould the product. 4. 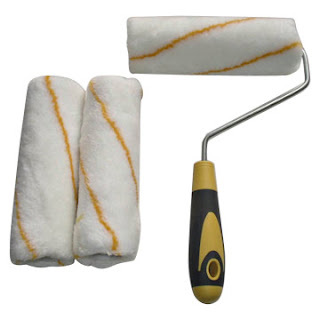 Quickly wash the brush and roller with acetone if you wish to reuse it. Brushes for resin impregnation process and metal rollers to force the air buble out.